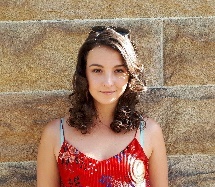 Today I have a guest post from Sydney writer, Emily Leary, on bringing up your kids the right way (did I really just say that? LOL). Sustainable living takes effort, but we all know it’s well worth it to help sustain our planet’s precious resources. 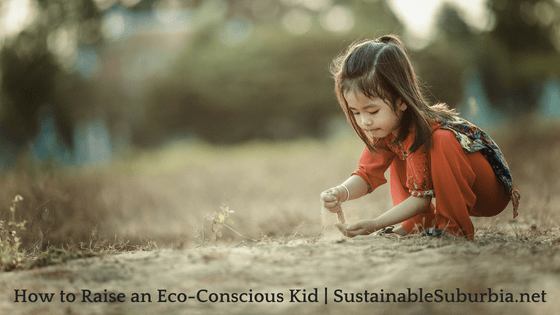 Raising your child to also be eco-conscious can seem like an enormous task and a huge responsibility. However, it doesn’t have to be a stressful process. It is possible to bring up a little eco warrior with the help of a few simple tips and tricks. You might even find it also strengthens your family dynamic and the relationship between you and your child. So how do you encourage your child to behave in an eco-friendly manner and grow up to be an independently environmentally conscious adult? All it takes is incorporating a few small practices into every-day habits! The first step to getting your kids to care about the environment is to get them to absolutely fall in love with it. Take them on as many outdoor adventures as you can; to the beach, the park, a lake, whatever! Engage in fun activities like swimming, hiking, and fishing, and your child will begin to associate positive feelings with these places. This will help them develop a natural reverence for the environment. Every day things that we do around the house to conserve water can be easily taught to kids. It’s ideal to teach your children from a young age to always turn off the tap while they’re brushing their teeth and scrubbing their hands. Another good idea is to install a shower bucket and encourage your kids to use their shower bucket to water the household’s plants after their time in the bathroom. If you want the whole family to be conscious of how much water they use while showering, installing a shower timer is a good way to limit excessive water use. The best way to encourage a good habit is to associate it with another, so that they are both eventually carried out together, almost like muscle memory. If a child associates the importance of recycling with taking the bins out, then those two things will eventually go hand-in-hand. Start by teaching your child which household items can be recycled and how, with the end goal being that whenever they are tasked with taking the bins out, they will also sort the recycling. If you teach your child to wash dishes after dinnertime with the absolute minimum amount of water and only eco-friendly soap, then positive reinforcement will ensure that over time, your child will always wash dishes in an eco-friendly way. In a similar respect, if you teach them to switch off lights and power points in and around their bedroom before bedtime, it will eventually become a part of the usual bedtime routine. This simple process will intrinsically link daily household actions with eco-friendly habits. Kids are easily influenced and they usually notice much more than you think. If you use plastic in your daily life, then your child might develop a mindset that is indifferent to environmental sustainability. Make sure you always use reusable containers for their school lunches and discourage using other plastics. When you take them grocery shopping, be sure to bring your own reusable bags so that they see this as standard behaviour. Positive reinforcement is always a great way to encourage eco-friendly household habits. A good way to do this is with an eco-friendly rewards chart. Explain that the chart is a positive system and encourage your child to earn stickers by doing environmentally friendly things around the house. Sorting the recycling could earn a sticker, while sticking to a short shower time and using their shower bucket to water the household plants could earn two! Incorporate rewards into the system, whether they be more TV time, a later bedtime on weekends or an excursion to a place they love like the beach or the cinema. This could be something the whole family could be involved in, eventually “earning” a trip to somewhere fun, together, perhaps even a vacation or camping trip. There are some brilliant resources available to teach kids how to be environmentally conscious. Introducing them to your child will hopefully strengthen the good habits they’ve already learned at home and possibly teach them some new ones! There are some popular eco-friendly kid’s books out there which you can find on Goodreads. You could also give your child visual resources for extra encouragement, like this hipages activity sheet for kids. There’s also some fantastic films which are both entertaining and informative for young people as a way of inspiring them to contribute to an ecologically sustainable planet. So tell us in the comments – what are your tips for raising your kids to be aware of environmental concerns, and at have eco-friendly habits? I think one of the most important things is just to model the behavoiur you want them to copy. Make sure you aren’t saying one thing but doing another. So when you are “in nature”, be thoughtful about the way you treat it, take litter with you, don’t tip our your washing water into the river etc. And like you said, around your home, avoid using too much plastic, or any single use items really I suppose, as much as you can. Just live it yourself and they will see it. I find kids learn best through watching what you’re doing. And you can hardly expect children to do as you say not what you do! Yes, We started with our children by doing simple things like not going to shopping centres and just wandering around for no particular reason. It is a place of business – not a community hangout. Instead we just yesterday went with some new friends on a rainforest walk to the beach – really good to be grounded and away from all those marketing and advertising. Agreed! 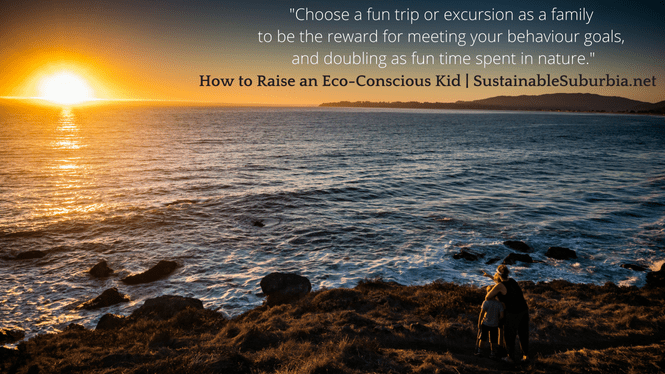 it’s hard enough for an adult to stick with sustainable living when we’re feeling strung out/lazy, let alone for our kids to take the initiative to do it. But once we achieve it, it feels great! I’d love to see your article Erika, where can I find it?